You hear every day how video is emerging as a powerful marketing tool. Today, and on a daily basis, there are glaring examples of exactly how impactful a well produced and marketed video can be. But is that it? It's limited to creating a kickass video with all the bells and whistles, dusting off our hands and turning off the lights? No...not at all. There is always more. 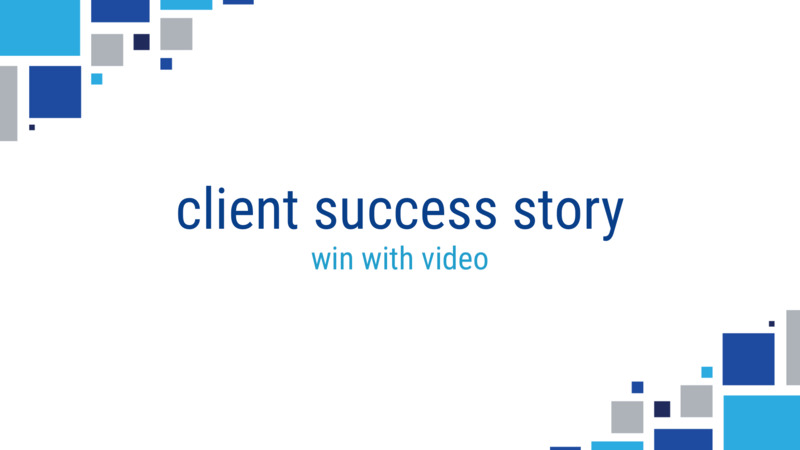 For a client of Revenue River, ORR Corporation, the "more" was delivering accurate analytics and solving painful automation gaps, for a unique internal corporate video campaign. The ORR Corporation has been in existence since 1948, starting as a seller of industrial safety products. Fast forward nearly 70 years to see three successful divisions of the ORR Corporation. Continuing to focus on selling industrial safety products, ORR also focuses on maintaining what was one of the first fire suppression companies in America, specializing in custom fire protection for mission-critical business processes. As the umbrella, the ORR Corporation is paving the way with their focus internally, as one of the leaders in their philanthropic and environmental initiatives, and the understanding of the importance of being a family first workplace. With the large focus on ORR and their associates, the magnitude and importance of an internal facing PSA video campaign became evident. A company built on workplace safety is only effective if you first focus internally on safety. What Is The "Our Safety" PSA Campaign? ORR's idea was to run a weekly "PSA video" campaign for their employees, highlighting different safety tips from how to safely walk in the warehouse to right lane driving safety. The end goal was not to simply release a short 2-5 minute video on work/life safety to 500+ associates, but to somehow score the associates based on their viewing data in the allotted timeframe. Almost as if it were a game, associates were broken into teams that ranged in size, and each associate was expected to watch at least 85% of that week's video in order to be scored correctly. After gathering the details, the underlying question remained: is there a tool out there that can 1) integrate with the campaign's HubSpot portal to keep contact data aligned, and 2) deliver deep video analytics numbers to show individual viewing data on a weekly basis? The PSA campaign was a great example of how organizations can leverage video to share information in innovative new ways. The main problem ORR faced was finding a video platform that had a robust ability to push the necessary marketing actions set forth in the campaign strategy. This platform needed to house, have the capability to embed videos on a blog/in email, all while complying with their brand guidelines in a simplistic, functional format. 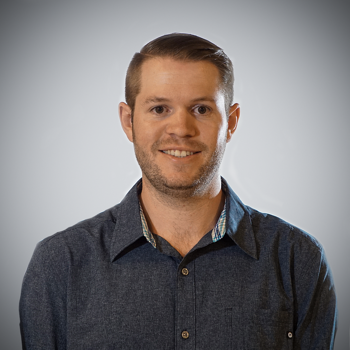 Not only that, the entire campaign revolved around an associated database with 500+ contacts (that grew or shrunk consistently on a weekly basis). HubSpot is the home base; it is used to house the contact database, break them down based on teams, send the promotional emails out on a weekly basis, house the blog...do you get the picture? This has to be structured around HubSpot. Not only that, but the thought of having a video marketing platform that did not sync with HubSpot would mean hours of manual data scoring for the team. ORR already had a huge mountain to climb with their focus being on weekly video production and post-production editing (which can be TIME consuming), so adding weekly hours dedicated to manual viewer data scoring without an integrated platform would have been a no go. The second, and potentially the biggest problem/question mark, was an insight into exact video viewing data for individual associates. How could they tell associates on a weekly basis WHO has watched the video, how LONG did they watch it for, and WHICH team is leading the way? This campaign is 100% a fun, internal competition, but it could not work if ORR couldn't say "Sally Jones, you watched the "Week 1" video 96% to completion, therefore you are scored a yes". These videos are supposed to be STRICTLY internal...there is no promotion, no outside viewers. It's not only a weekly video campaign, but it's also a game...associates and teams are scored based on their viewership. The golden nugget that set Wistia apart from other solutions was their "Turnstile" feature; a simple overlay form that asked for first name, last name, and email address, that also integrated into individual HubSpot contact records. Turnstile solved the biggest issue of gathering data by individual contact for one simple reason. The campaign is scored based on your contact info (name & email), and with Turnstile, the user HAD to submit that info to watch the video. If the videos were setup without Turnstile, you would simply see an internet provider and IP address in the viewing data, leaving hundreds of viewers, with nothing to point to the specific associate. With Turnstile turned on, the viewing data shows exact names of viewers and the data associated. It's a funny thing. If you make anything a competition, the urge to win is always there. With a fun PSA style video campaign that you are scored in teams on a weekly basis, wouldn't you think that would be different? HAAAAAA. Nope...Messages pour in (ORR sends out updated results every week, so scores are visible to all associates) stating "I watched the video, why is my score a 0?" Not only did Turnstile form the ability to deliver scores, it also allowed an exact view for any rebuttal over disputed scores from associates. When there is a dispute, it takes mere minutes to pop into Wistia or HubSpot to show the evidence. Now, there have been instances where someone was watching from a secure network that threw the data for a loop, but even then, there are certain markers inside of HubSpot that could help solve the problem...the magic of using HubSpot and Wistia in sync was the visibility of all contact record information that led to close to perfect scoring accuracy. Up to today, there has been 3,965 total plays on the first 8 videos. This equates to 496 plays on average per video. The average engagement (average time watched of videos) is at 96%. The play rate (people who loaded the page and played the video versus those who loaded the page and didn't play them) is at 94%. What do these numbers mean when it comes to success? Well, as mentioned above, although there aren't any correlated stories that these videos saved someone from injury or accident, based on the average engagement and play rate being this high, it's evident that the awareness and reach is making an impact. It's easy to calculate the math, it saved both teams a lot of time. With the help of functional integration and a powerfully functioning video housing software, the PSA campaign runs like a well-oiled machine. Not only that, but on a week to week basis, every team saves time with the implementation of the easy data collection of all viewing data, and how it processes through the ORR team for easy scoring updates. Through the power of Wistia and Turnstile, and 90%+ stats on all relevant data, all ORR associates clearly a group that can say they take home safety tips that they can use in both work, and personal life setting. The teams who are in the lead, and all teams for that matter, are adopting what ORR can see as a successful performance of huge viewing numbers and awareness of the overall message. On top of that, it's not every day a company associate can sit behind their computer, and watch a penguin telling you how to walk safely while in the warehouse, right? Put our Multimedia team to work on your next video project. Watch how video can put the gas on your digital marketing fire.